Today’s jobs data exceeded expectations. Payrolls expanded by 114,000 in September, in line with expectations, but upward revisions to July and August added another 86,000 jobs, so the overall payroll picture is better than the headline. 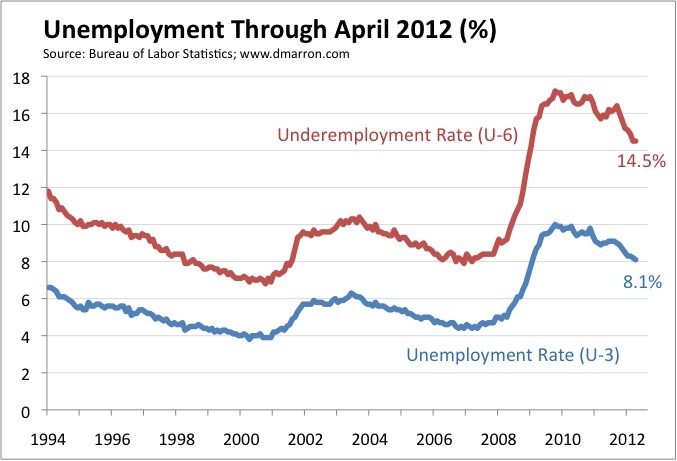 The big news, though, is that the unemployment rate fell to 7.8%. That’s big economically and symbolically. Indeed, it’s so big that conspiracy-mongerers are suggesting the BLS cooked the numbers to help President Obama get re-elected. Let there be no doubt: That’s utter nonsense. Other numbers also indicate an improving job market: the labor force participation rate ticked up to 63.6%, the employment-to-population ratio rose 0.4 percentage points to 58.7%, and the average workweek increased by 0.1 hours. All remain far below healthy levels, but in September they moved in the right direction. As you may recall, the U-6 measures includes the officially unemployed, marginally attached workers, and those who are working part-time but want full-time work. One anomaly in the September data is that the unemployment rate fell from 8.1% to 7.8%, but the U-6 remained unchanged at 14.7%. Why? Because the number of workers with part-time work who want full-time work spiked up from 8.0 million to 8.6 million. Another weak jobs report with payrolls up only 80,000, unemployment stuck at 8.2 percent, and underemployment ticking up to 14.9 percent. 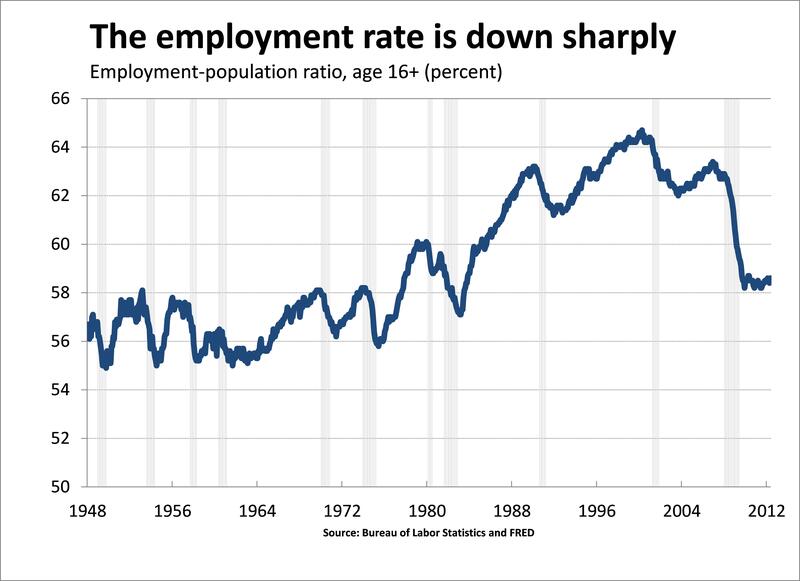 With the exception of the past several years, you’ve got to go back almost three decades to find the last time that so few Americans were employed (as a share of the adult population). The stunning decline in the employment-to-population ratio (epop to its friends) reflects two related factors. 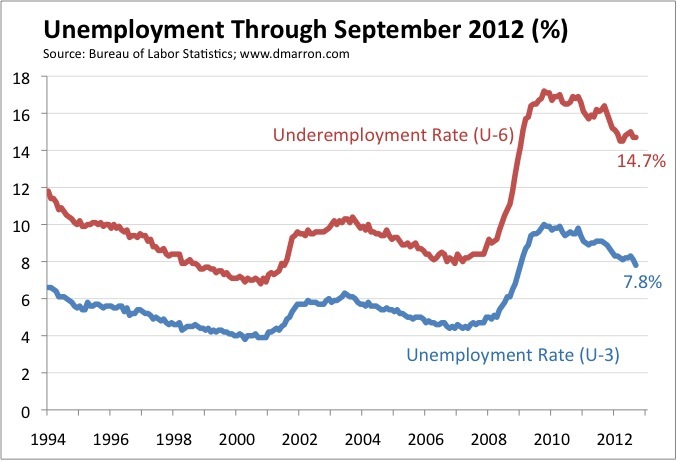 First, the unemployment rate has increased from less than 5 percent to more than 8 percent. 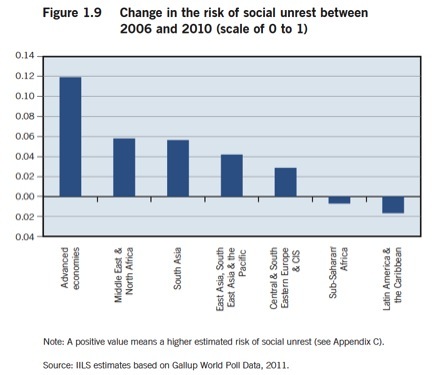 That accounts for roughly half the fall in epop. The other half reflects lower labor force participation. Slightly more than 66 percent of adults were in the labor force back them, but now it’s less than 64 percent. As expected, today’s jobs data showed a slowing labor market. Payrolls expanded by 115,000 in April, less than hoped or expected. Upward revisions to February and March added another 53,000 jobs, however, so the overall payroll picture is better than the headline. The unemployment rate ticked down to 8.1%, the labor force participation rate slipped to 63.6%, weekly hours were unchanged at 34.5, and hourly earnings increased a measly penny from $23.37 to $23.38. Put it all together, and this report is on the soft side of mediocre. The Fed’s quantitative easing programs did indeed lower interest rates, but more so for Treasuries and mortgage-backed securities than for other kinds of debt. Small businesses are overrated as job creators. 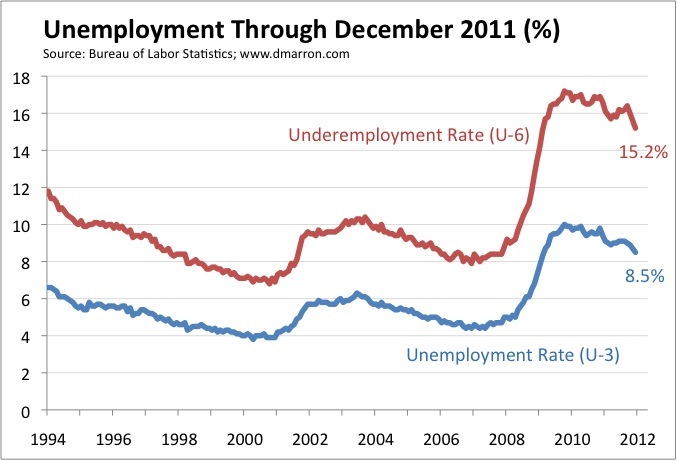 Extended unemployment insurance does increase unemployment rates, but not that much. Those are just a few of the findings from papers presented today at the Brookings Institution’s twice-yearly conference, Brookings Papers on Economic Activity. 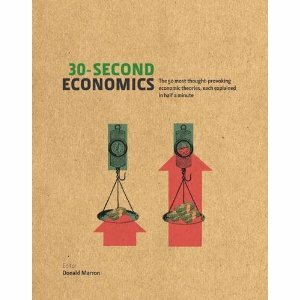 In Recession and the Costs of Lost Jobs, authors Steve Davis of the University of Chicago and Til von Wachter of Columbia University find that when mass-layoffs occur in good economic times, men with 3 or more years of job tenure suffer a $65,000 loss in the lifetime value of their earnings (a fall of about 10%), relative to otherwise similar workers who retain their jobs. But in a recession, a similar shock causes workers to lose $112,000 in the lifetime value of their future earnings (or about 19%). The authors also track worker perceptions about layoff risks, job-finding prospects, and the likelihood of wage cuts, finding a tremendous increase in worker anxieties about their labor market prospects after the financial crisis of 2008. This heightened anxiety continues today, they find. Davis and von Wachter also show that prior economic employment models have been unable to address the facts about the earnings losses associated with job loss, yet those earnings impacts appear to be one of the main reasons that individuals and policymakers are so concerned with recessions and unemployment. Finally, they note that pro-growth policies may be the most efficient and cost-effective means available to policymakers to alleviate the hardships experienced by displaced workers. In What Do Small Businesses Do authors Erik Hurst and Benjamin Wild Pugsley of the University of Chicago overturn the conventional wisdom about the role of small business, finding that they aren’t the job engine most believe them to be. Most small business owners neither expect nor desire to grow or innovate, but rather intend to provide an existing service to an existing customer base. Analyzing new survey data, the authors find that, instead, it is non-financial reasons — such as work flexibility and the desire to be one’s own boss – that are the most common reason that entrepreneurs start their own business. Hurst and Pugsley note this behavior is consistent with the industry characteristics of the majority of small businesses, which are concentrated among skilled craftsmen, lawyers, real estate agents, doctors, small shopkeepers, and restaurateurs. They conclude that standard theories of entrepreneurship may be misguided and result in sub-optimal public policy, suggesting that subsidies for small businesses may be better spent if they are targeted to businesses that expect to grow and innovate, rather than small businesses in general. They laud the partnership between the US Small Business Administration and venture capital firms as an example of strong targeted public policy. In Unemployment Insurance and Job Search in the Great Recession, Jesse Rothstein of the University of California, Berkeley finds that recent extensions to the period in which the unemployed can draw unemployment benefits had a significant but small negative effect on the probability that eligible unemployed would exit unemployment, and that the effect is mainly concentrated among the long-term unemployed. Rothstein calculates that without those extensions, the unemployment rate would have been about 0.2-0.6 percentage points lower—a much smaller impact than implied by previous analyses, and that the long-term unemployment rate would have been even lower. He finds that half or more of these impacts are due to the unemployed remaining in the labor force rather than reductions in the chances of finding employment. As a result, Rothstein suggests that a generous extension of UI benefit in deep recessions should last until the labor market is strong again, thus giving displaced workers a realistic chance of finding new employment before their benefits expire. In The Effects of Quantitative Easing on Interest Rates, Arvind Krishnamurthy and Annette Vissing-Jorgensen of Northwestern University show that the Federal Reserve’s recent quantitative easing (QE) programs (“QE1” and “QE2”) did in fact significantly lower interest rates on Treasury securities, as well as GSE bonds and highly rated corporate bonds. They also find that such programs affect interest rates differently depending on which assets are purchased: QE1, which involved the purchase of mortgage-backed securities (MBS) in addition to Treasury securities, significantly lowered MBS rates, whereas QE2, which focused exclusively on Treasury securities, had little effect on MBS rates. The authors identify several channels through which QE affects interest rates: first, QE increases the premium paid for assets with low-default risk (and thus lowers rates on these assets), by reducing the supply of such assets available to investors; second, QE drives down interest rates broadly by signaling a commitment by the Federal Reserve to keep interest rates low for a long period; and third, when QE involves purchases of mortgage-related assets, it lowers rates on such assets by affecting the price of mortgage-specific risk. Because QE does not affect all long-term interest rates equally, examining the impact of a QE policy that focuses on purchases of Treasury securities on long-term Treasury rates is likely to overstate the program’s impact on the long-term corporate and mortgage interest rates that all relevant to investment and housing demand. Interestingly, the results about having the Fed use its communication channel alone – that is, signaling its intentions – might be having a significant impact on rates without having the Fed actually take on the risks associated with increasing its balance sheet. The authors also conclude that expected inflation increased substantially due to QE1 and modestly due to QE2, implying that reductions in real rates were larger than reductions in nominal rates. 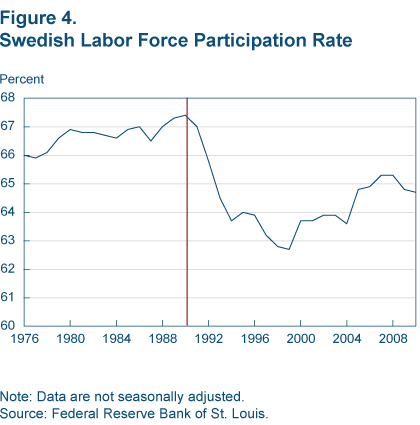 In Practical Monetary Policy: Examples from Sweden and the United States, Lars E.O. Svensson, the Deputy Governor of the Swedish Central Bank (Sveriges Riksbank) analyzes the actions of the U.S. Federal Reserve and the Swedish Riksbank during and after the summer of 2010, looking for evidence that perhaps central banks make mistakes. In that time period, both the Fed and Riksbank forecasts for inflation were below their target and their forecasts for unemployment were above the sustainable unemployment rate, suggesting that more expansionary policy was warranted. However, the Riksbank tightened policy while the Federal Reserve held rates steady. 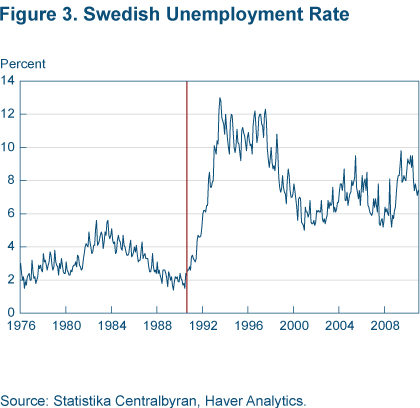 Although the Swedish economy developed better than expected, and the U.S. economy developed worse than anticipated, Svensson argues that these developments were the result of external factors — not, in fact, the nations’ respective monetary policies. The Riksbank benefited from higher-than-anticipated domestic and export demand, upward revisions of GDP data, and a lack of structural problems. On the other hand, the Fed had to contend with fiscal policy problems, a slower housing market recovery, and substantial downward revisions of GDP data. The author concludes that the Riksbank’s decision to tighten policy is difficult to justify, while the Federal Reserve’s decision not to tighten was appropriate, although there is also a case to be made that they should have eased more.